Frisbie Elementary School: Highlights - FES - Summer Reading Reward! FES - Summer Reading Reward! 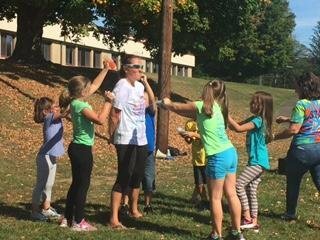 Frisbie Princial, Mrs. Murtaugh, gets 'slimed' by students as a reward for 100% Participation in the Governor's Summer Reading Challenge!